Mars® multi-horsepower condenser fan motors are ideal for truck stock. 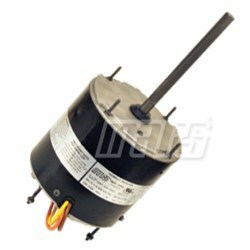 Three 1075 RPM models cover 208-230 volt applications from 1/6 to 1/2 HP. Two 825 RPM models cover 208-230 volt applications from 1/8 or 1/3 HP.